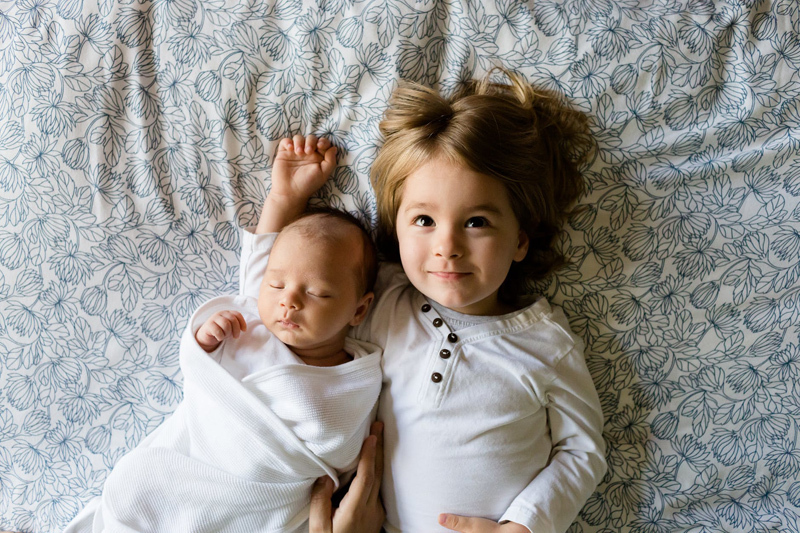 If you are planning to include a young child at a birth, whether in or out of a hospital, there are many things to consider to ensure a positive experience for the child and the birthing mother. • Have a Dedicated Caregiver: If your older child(ren) will be attending your birth, be sure to have a dedicated caregiver that is not the birthing mother or anyone who is serving as her coach or advocate. It is very important to choose a caregiver who is willing to be there primarily to monitor the experience of the child, and won't get so caught up in their own experience of the birth that they will lose sight of that important responsibility. The caregiver should be willing to be in the room for the entire birthing process if that is what is right for the child and mother, and *should be willing to leave the room,* or even the home, center or hospital if that's what the child or mother need. Ideally, there should be a separate caregiver for each child so that their individual needs can be met. While most births are uncomplicated, the labor process is by nature unpredictable. Children may need to be fed or sleep, may get overwhelmed, over-stimulated, scared or simply bored. Babies may come while children are in school, or sleeping and need picking up or waking. Labor may last days, or just hours. Birthing mothers may also decide that despite their best intentions, the having an older child(ren) in the room is making the labor more stressful or difficult. Whatever the situation, the caregiver needs to be alert to the emotional and physical state of the child, ensure that the mother and coach's attention can remain on the birth, and help the child to deal with any unexpected events. • Prepare Children for Birth - While birth is generally a safe process in most modern nations, adults are always aware that risks exist. But in general, young children are not *fearful* of birth in the way that adults are… they are focused on the joyful arrival of the baby, not the what-ifs of the process. The reality is that if anything scary happens, the child(ren) will likely be removed from the situation. So prepare the child for the type of labor they would be able to experience. Attendance at birthing classes, watching birthing videos, and looking at photos of births are all great ways to prepare children. Young kids don't share the same modesty about bodies that we do, and don't share the same sexual hang-ups as adults, so I can tell you from experience, it doesn't even strike them as strange – they are looking right where they should – at the baby! • Talk About Childbirth Pain - While it's true that children don't fear birth, if they aren't prepared, they can become instinctively distressed if their mother is in pain. Explain that it is a lot of work to push out the baby, and that it can take a long time for Mommy's body to get ready. Explain that it can help Mommy to do the work if she makes loud noises or even yells. Ask the child to do a hard job, like push something heavy and let them experiment with how vocalization can make them feel stronger. Explain (and this is important) that the baby *is not hurting Mommy* – that the baby is just waiting patiently in Mommy's tummy to be born and doesn't even know what is happening. Explain that Mommy will be working very hard, but her body will be doing exactly what it's supposed to and at the end the baby will finally be born! Including young children at a birth can be a beautiful way to experience together the changes a new birth makes to a family, and immediately unify and celebrate the new family unit. Considering these basic guidelines for including young children at birth can help ensure the experience is positive for everyone involved.